A company appointment letter is an official letter from a company that officially tells someone they have a job with an organization. 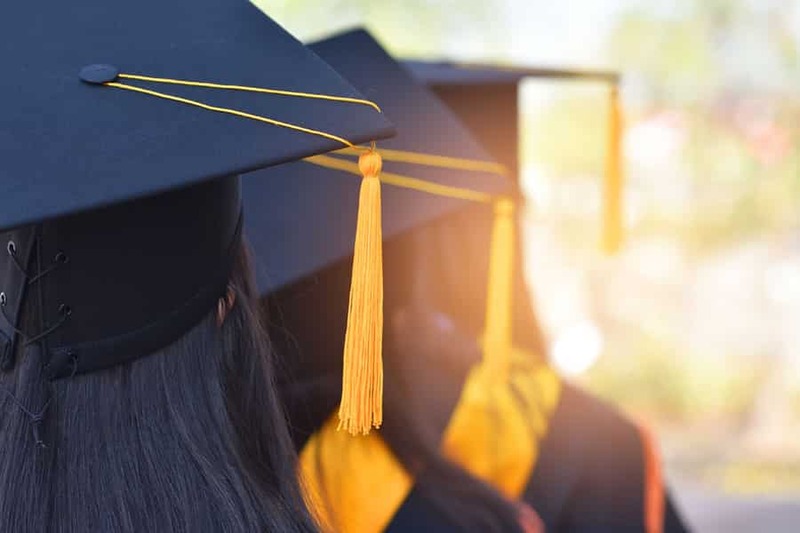 They are legally binding documents that confirm a person’s appointment to a certain position in a company. 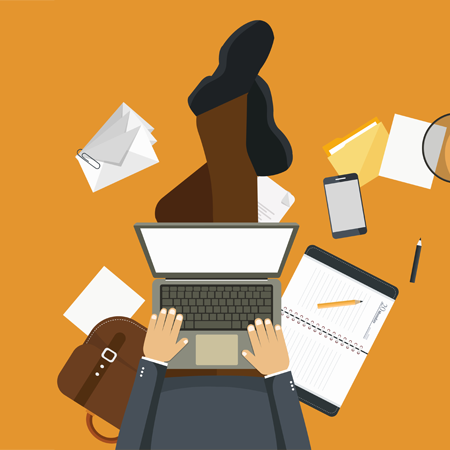 When Does You Compose an Appointment Letter? 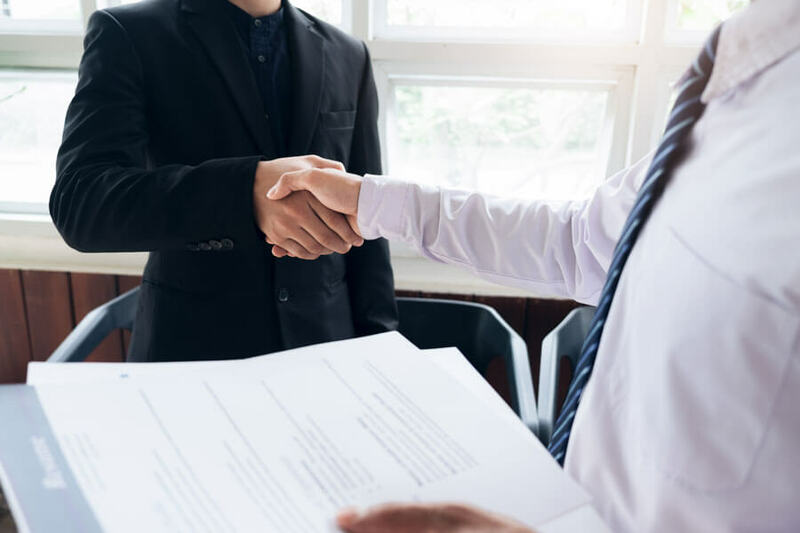 Company appointment letters are the next letter of communication after an offer letter is sent to the right candidate. The contact information of the person who wrote the letter. Reference number and potential employee’s address. 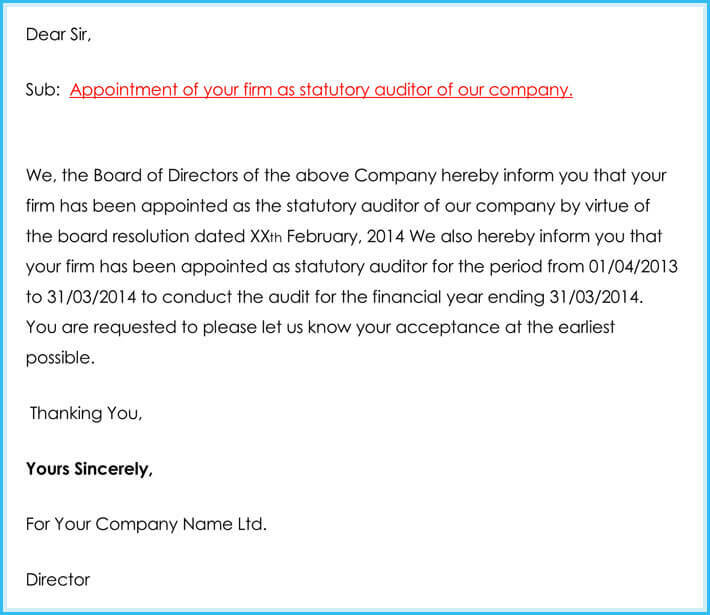 When writing company appointment letters, there is a certain format that must be followed. 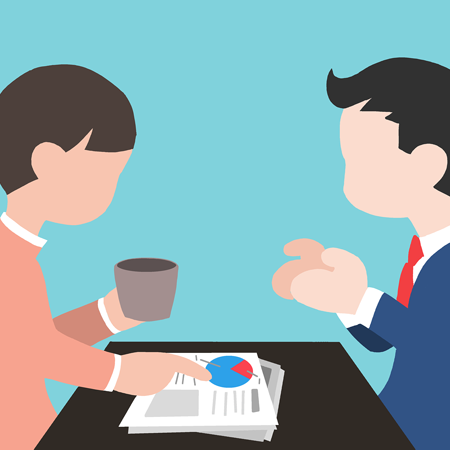 Following the basic outline prevents any discrepancies between employers and employees. The letters are legally binding and should not contain any errors in them. 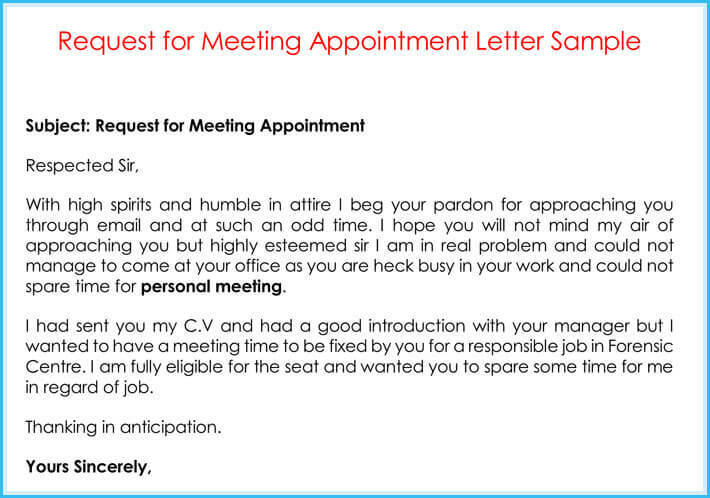 To achieve this, you need to use appointment letter templates. There are different samples available to suit different organizations. The templates are accurately drafted with no errors. 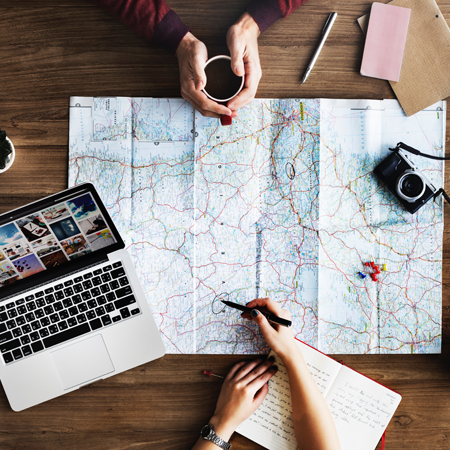 The letters can be used to give employees appointments to company meetings, company agent or business meeting representative. But before that you may want to send an appointment request letter. 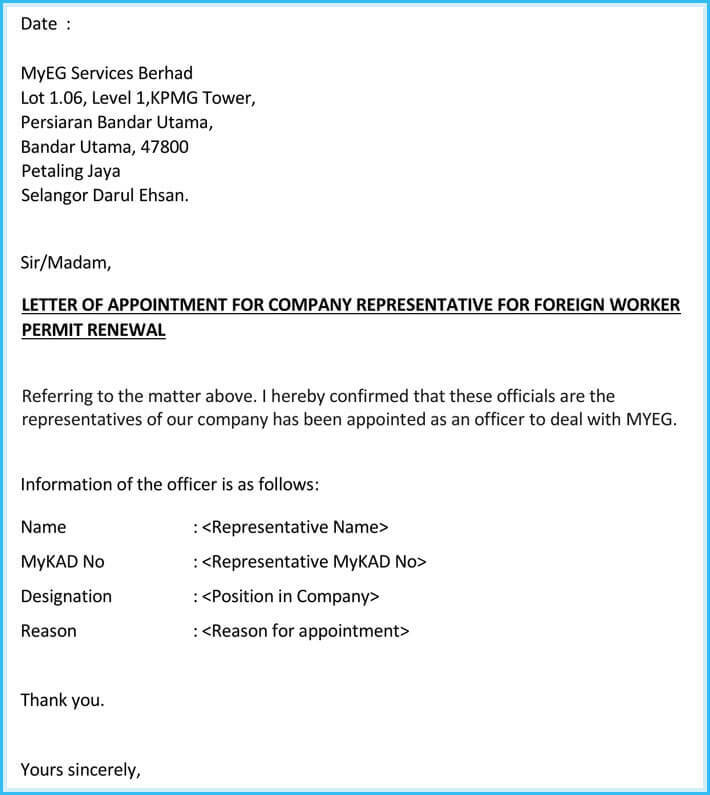 We have provided different company appointment letters available free for use. Here they are, let’s check what they are used for. 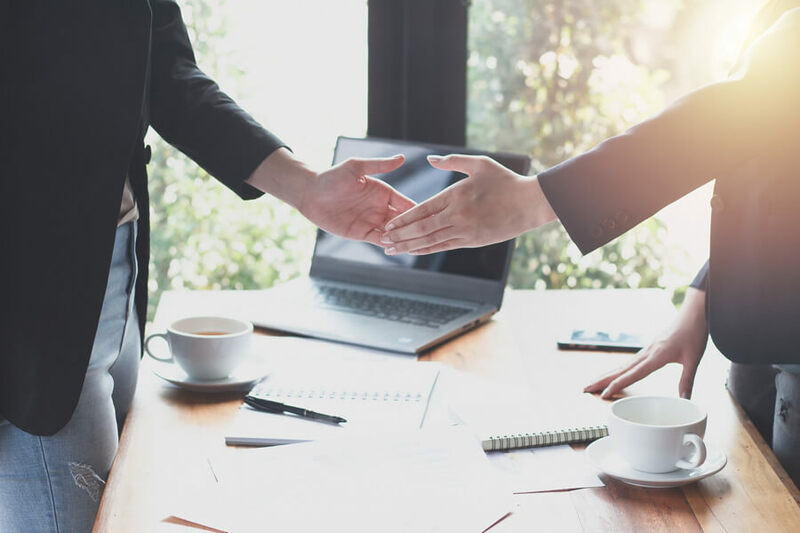 A general company appointment letter is given to successful candidates who have been appointed to general positions in a company. 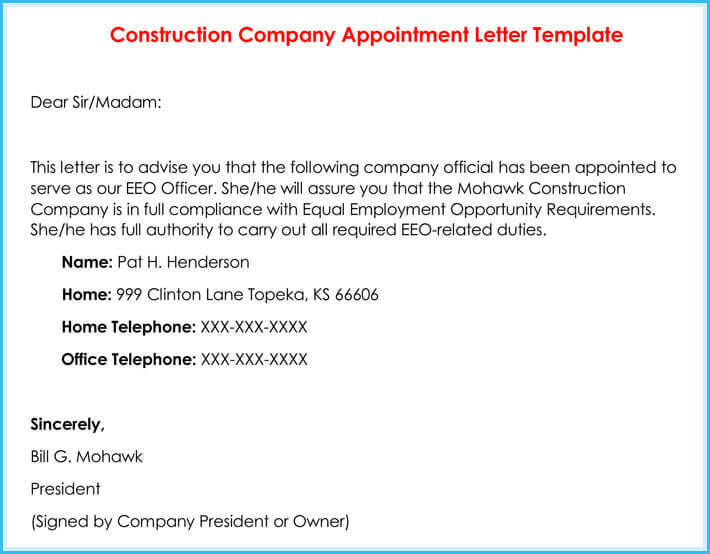 Construction company appointment letters that are given to successful candidates in construction companies. 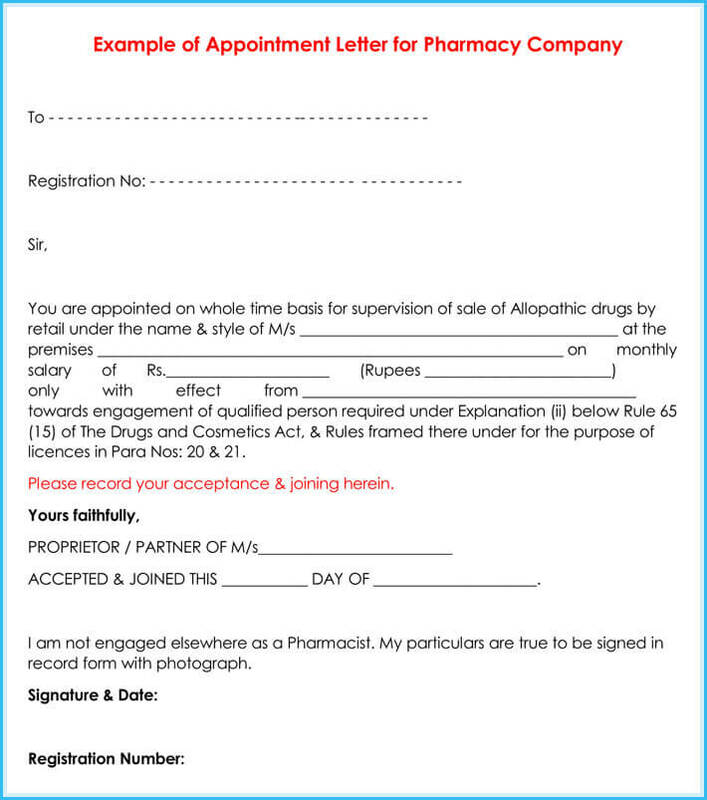 Sample appointment letter for pharmacy company is given to successful applicants chosen to work in pharmaceutical companies. 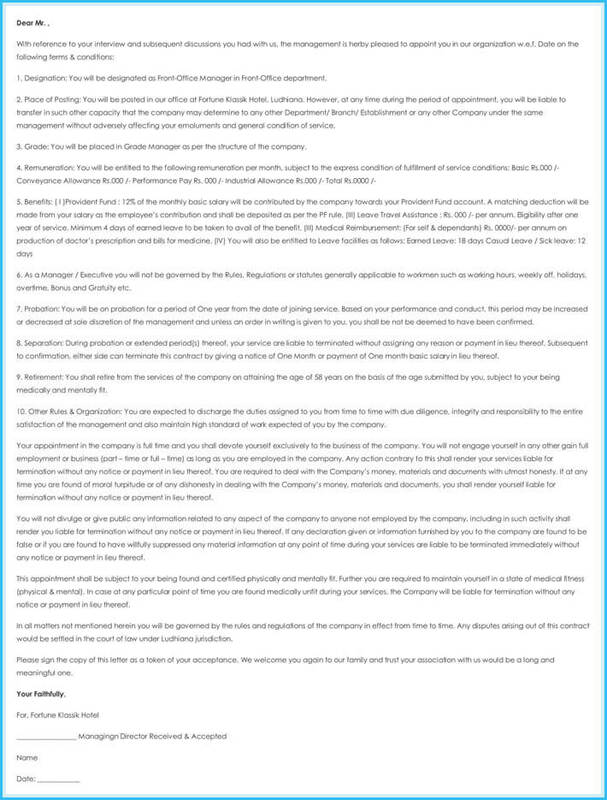 Appointment letter for software company is used to give employees who have been selected to work in software companies. 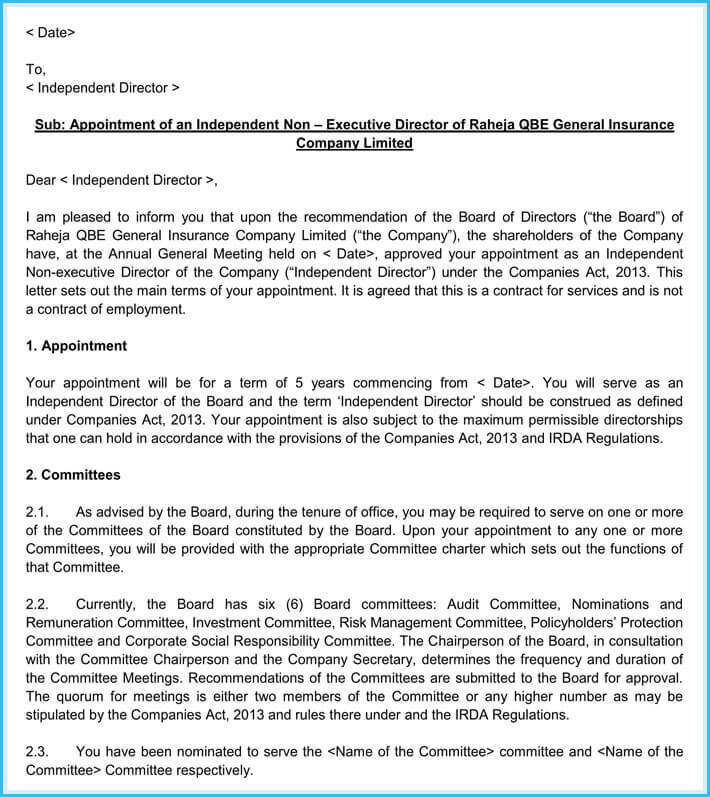 Company director appointment letters are used to give those who have been appointed to work as company directors in a company. 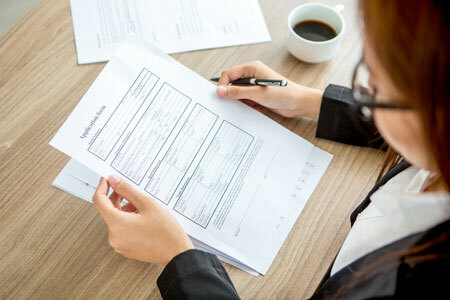 A company auditor appointment letter is used to inform successful candidates that they have been appointed as company auditors in a company. 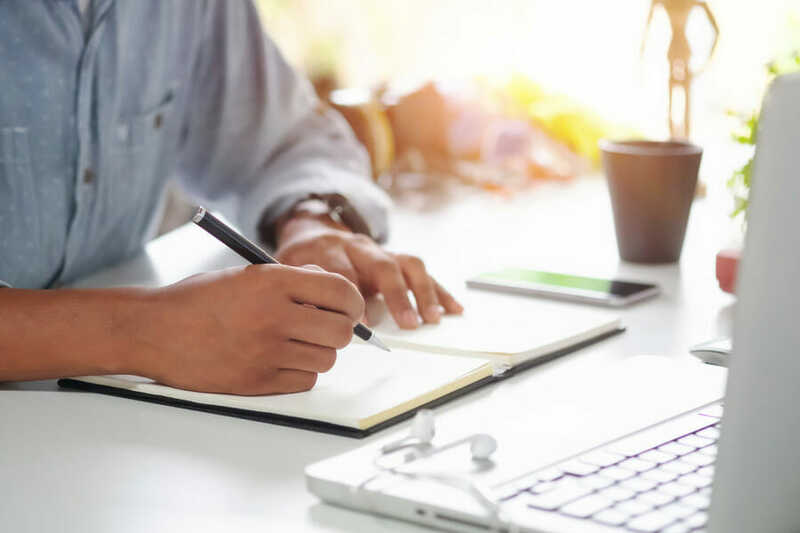 Company manager appointment letters are used to inform successful applicants that they have been appointed to the position of company managers in organizations. 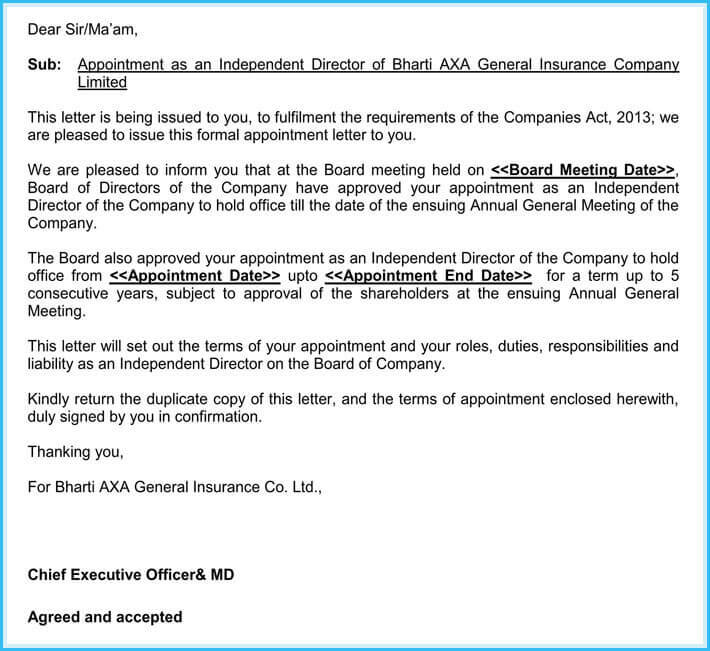 Insurance company appointment letters are given to successful candidates who have been appointed to work in insurance companies.